Apple is preparing to remove all Bose audio products, both demo and sellable, from its retail environment, according to a reliable source who spoke to MacRumors. The inventory change will begin early next week, with instructions for removal being sent to employees in the coming days. The reasons behind this removal were not disclosed, but it is very likely tied to to Apple's recent acquisition of Beats Electronics. As part of this deal, Apple obtained the popular Beats headphone division as well as the company's subscription music streaming service. With Beats now featured prominently by Apple, either Bose or Apple may have decided to end their retail relationship. Bose also has a new sponsorship deal with the National Football League that has seen the league prohibit players from wearing Beats headphones while in the presence of television cameras at practice and on game days. San Francisco 49ers quarterback Colin Kaepernick defied the ban by wearing bright pink Beats headphones at a postgame press conference last Sunday, a move that saw the league hit Kaepernick with a $10,000 fine. Bose and Beats are also currently embroiled in a patent dispute that has seen Bose file suit against Beats, claiming infringement of five patents related to noise cancelation technology. Apple acquired Beats Electronics earlier this year in a deal worth $3 billion. Beats co-founders Jimmy Iovine and Dr. Dre reportedly have assumed senior roles within the company and are said to be working to improve Apple's influence in the music industry. This partnership may help Apple as it supposedly negotiates with music labels in order to lower the price of its Beats Music service ahead of a planned revamp rumored for February of next year. Update 11:07 AM: Just today, Bose has agreed to a dismissal of its lawsuit against Beats, with the parties having settled their claims. both brands are overpriced, but I would much rather buy Bose than Beats. Frankly I find what Apple is doing here is anti-competitive. but hey, I don't buy accessories from Apple store anyway, so it doesn't bother me. Overpriced junk shouldn't be sold in Apple Stores regardless of what you think of Beats. Beats are ok...but very overpriced. You can do much much better for your dollar. Personally, I think it's a dumb idea. Bose appeals to a different market than Beats. I'm a Bose customer, not a Beats customer. That means there are both types of buyers buying Apple. Why remove a product that appeals to one group but not another? Honestly, it probably doesn't really matter to me much in the long run, since I would probably never buy either brand in an Apple store. Whilst Id never buy Beats or Bose, this is an embarrassingly anti-consumer, anti-choice move. why not just get rid of all other audio gear why they are at it? It seems very tacky to me. I think Bose fired the first shot, with the NFL debacle. It's unfortunate because Bose makes some decent stuff. Certainly not the best, but definitely better than the beats crap. Frankly I find what Apple is doing here is anti-competitive. I'm all about competition too, but I can't blame them in this case. 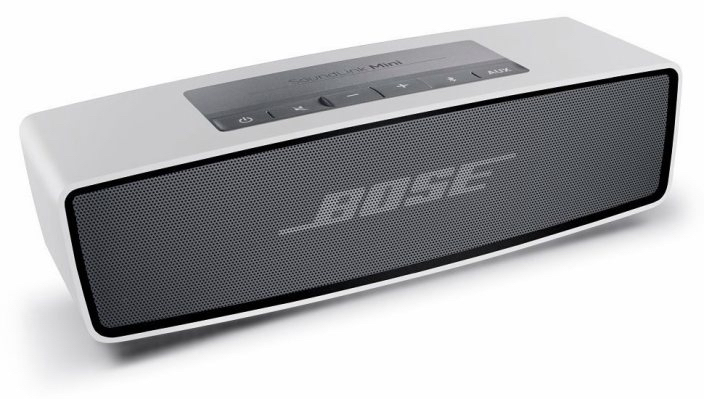 Bose is now a direct competitor. :apple: is becoming so huge and arrogant, that it actually starts to remind me Microsoft before its troubles started. Not selling products from a competitor in your own stores is hardly anticompetitive. I don't expect to be able to buy a brand new Chevy at a Dodge dealership, nor an iPad at a Microsoft store, nor should I.